What better way to see that galaxy than in Starfleet. 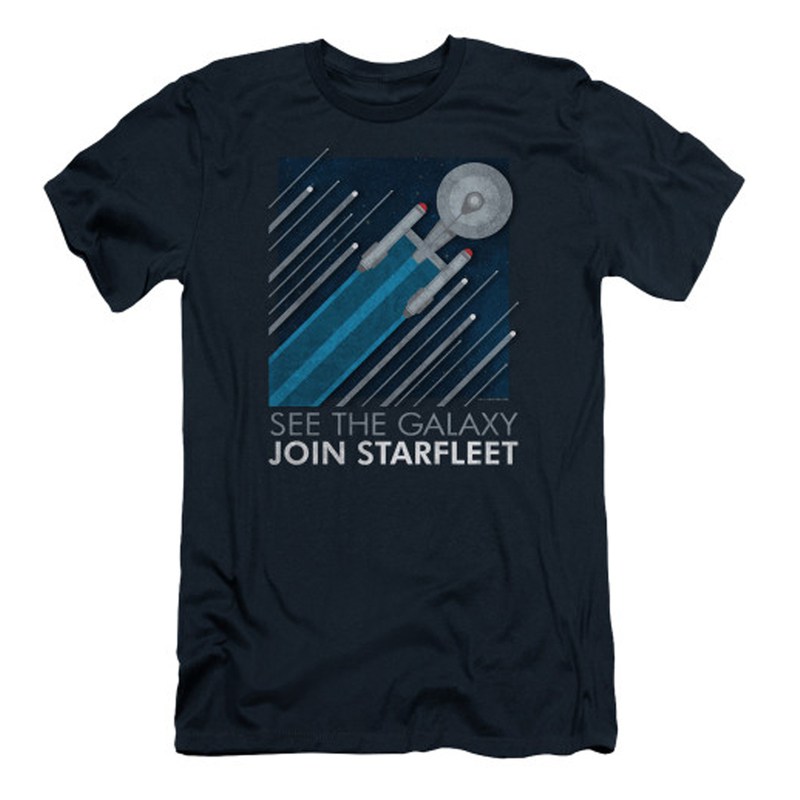 Get the Star Trek Starfleet Recruitment Poster T-Shirt and show you’re a fan of Star Trek and the adventure ahead it brings. I love this shirt. It’s a nice navy blue and good weight material, not see-through at all. I use it as my flying shirt whenever I travel anywhere by plane. I snagged the first one and tore a hole in it and liked it so much I got right back online to buy another. Very comfortable cotton-cool comfort for summer wear-is cut in trim fashion so unless you're a thin profiled individual order next larger size. Graphics on shirt done very nicely. Got lots of looks paired with a traditional slim black slack and blue sketcher shoes.